The world of blogging is expanding day by day with over 100 million blogs over the internet. In such case how can you attach a vast amount of visitor to your blog these are some simple tips that could help you in bringing some traffic to your blog. Note: I left updating my blog for roughly 3 months and my Alexa ranking decreased from 80000 to 130000 I lost a lot of readers so this is something you have to take very seriously .if you want to make this your career. Also, the content you write should be meaningful out of the experience so that it could be helpful to people making them come back to read more. 02. Submitting your blog to the Search Engines. How would people even know you are writing something they go on a search engine for their solution so it is your work to submit your blog post to the Search Engines like Yahoo, Google, and others. 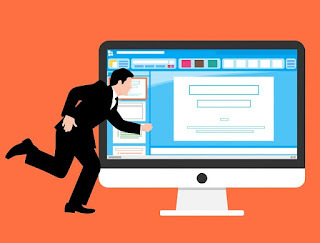 You have to understand simply submitting your blog in the search engines does not mean your page will be at the top but it will increase the chance of being caught by crawlers. Commenting can be used as a special tool to draw the attention of other readers to your blog post respond and interact with them. Leave a comment on their site to Drive new traffic. Don't forget to leave a link of your website to your blog. people read the comments so make sure it is something meaningful which make them bound to read more contents written by you. This is a very good practice which makes your loyal readers not to just read your blog but also know about your new post and return back to read new contents. it takes a few seconds to tag your post.tags are easily noticed by the search engine and tagging can help readers get what they want to know. its true but i just love what i do.